We were sent The Kiss to review*, such a heart-warming story of a Kiss brightening up the world with smiles, laughter and dancing. This beautiful book is written by Linda Sunderland and Illustrated Jessica Courtney-Tickle. This lovely book begins with Grandma heading home from Edwyn’s house. He blows her a kiss which she catches and puts it in her pocket. On the way home, Grandma comes across people looking sad such as an old man at the bus stop. She makes the old man smile by taking the kiss from her pocket and showing it to him. They begin to dance and make the people at the bus stop smile! Grandma blows the old man a kiss which he catches and puts in his pocket. Edwyn’s one grows heavier and bigger while Grandma uses it to spread happiness all the way home. Kindness and happiness make it thrive! A man hears all about the kiss and asks to buy it from Grandma but she refuses. He tries all different ways to get hold of it but Grandma refuses. The man sends flowers, letters, even a brass band yet she still refuses. He decides to stal it! The man cages the kiss and it slowly begins to grow thinner, the skies turn mean and the sun goes to sleep. It withers in front of his eyes which makes the man sad. He eventually decides to return Edwyn’s kiss to Grandma. Thankfully when Grandma releases it from its cage it returns to normal! The man looked so sad that Grandma blew him a kiss which he caught and smiled sweetly! When Grandma next sees Edwyn he gives her a hug and she puts it safely in her wardrobe for whenever she felt cold and lonely! This is such a beautiful story showing how kisses and hugs can spread joy and happiness everywhere! It goes to show just how far a small act of kindness can go. Spreading the message that the act of sharing can be more powerful than taking what we want from the world through a beautifully written children’s book. Such a lovely uplifting story to read to children aged 3 to 6 years. Both girls really enjoyed this sweet story, a perfect bedtime read! Do you love Children’s books that spread important messages like this too? Can you recommend others like this? *We were sent this book to review but all thoughts and opinions are our own. 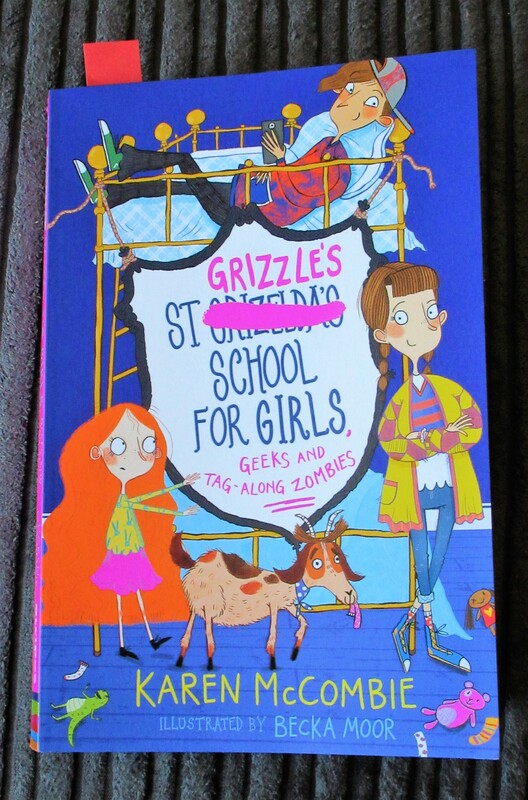 Eva’s been reading St Grizzle’s School For Girls, Geeks And Tag-Along Zombies. 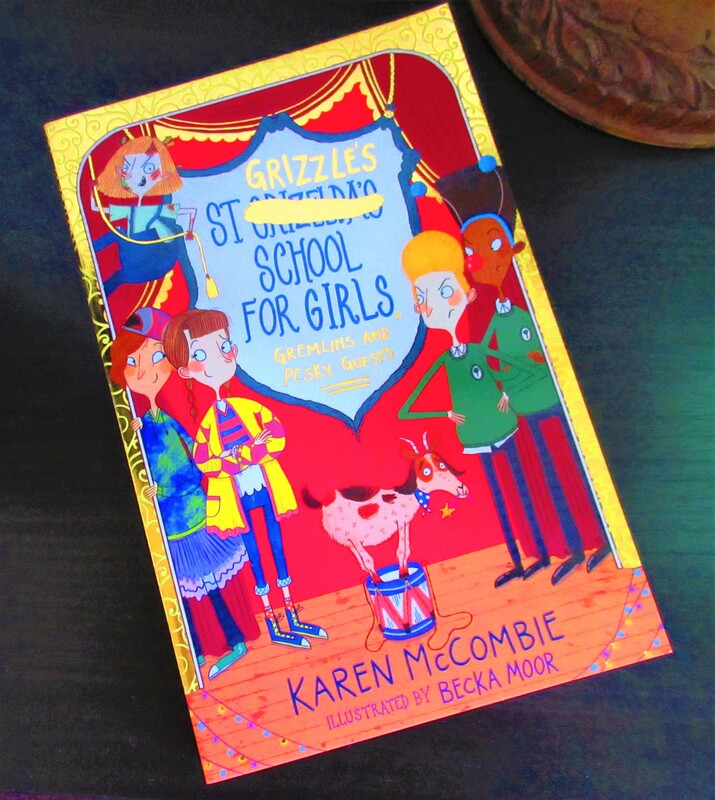 Written by Karen McCombie and Illustrated by Becka Moor, this is the 3rd book in the St Grizzle’s Series. Available in paperback for £5.99 this fab book is published by Stripes, an imprint of Little Tiger. 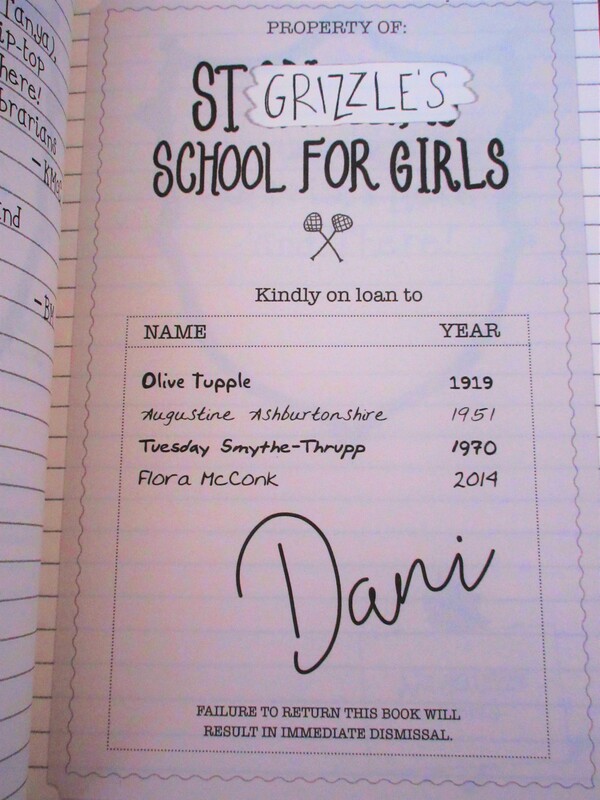 We join Dani back at St Grizzle’s School for a third time as she discovers mixing her new and old life isn’t as easy as she thought. A shy new student suddenly disappears at St Grizzle’s, making life harder for Dani. Along with her friends, Dani has to unravel a truth about this shy tag-along zombie! As always with St Grizzle’s it sounds like a wacky story just from the title. 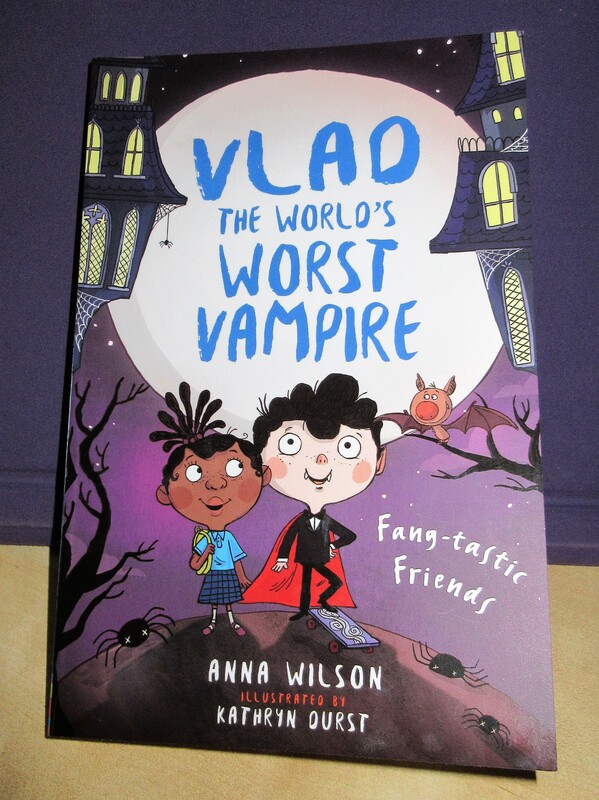 Having read St Grizzles School For Girls, Goat and Random Boys & St Grizzle’s School For Girls, Ghosts and runaway Grannies, Eva though this sounded fantastic. As a fan of boarding school series such as Malory Towers as a child myself, I can totally see the appeal. Karen McCombie has written yet another fantastically funny storyline for Dani and her friends and had Eva absorbed from the first page. With its humour and references to YouTube Bloggers, zombies and chaos it kept her entertained until the very last page. 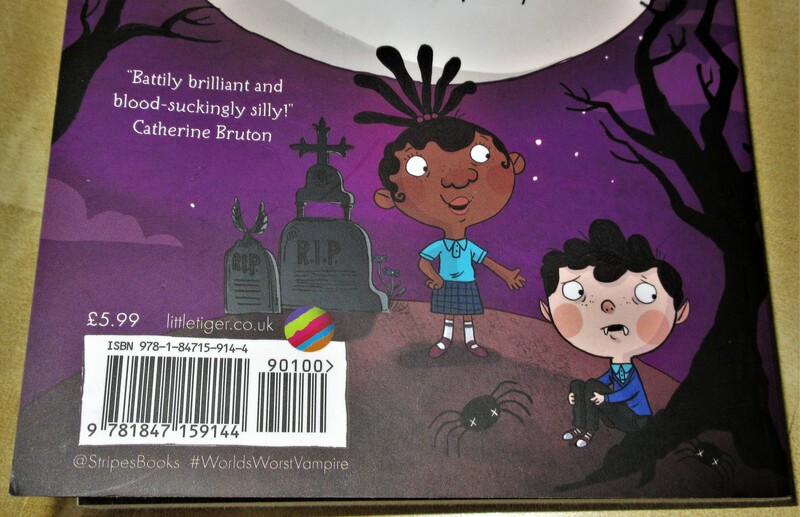 Eva managed to read St Grizzle’s School For Girls, Geeks and Tag-Along Zombies in one day. She sat there giggling her head off turning page after page. I love seeing Eva unable to put a book down, truly engrossed the storyline and characters. We will definitely be waiting impatiently for the next book in the series. I am sure Izzy will eventually come to love the St Grizzle’s series too. 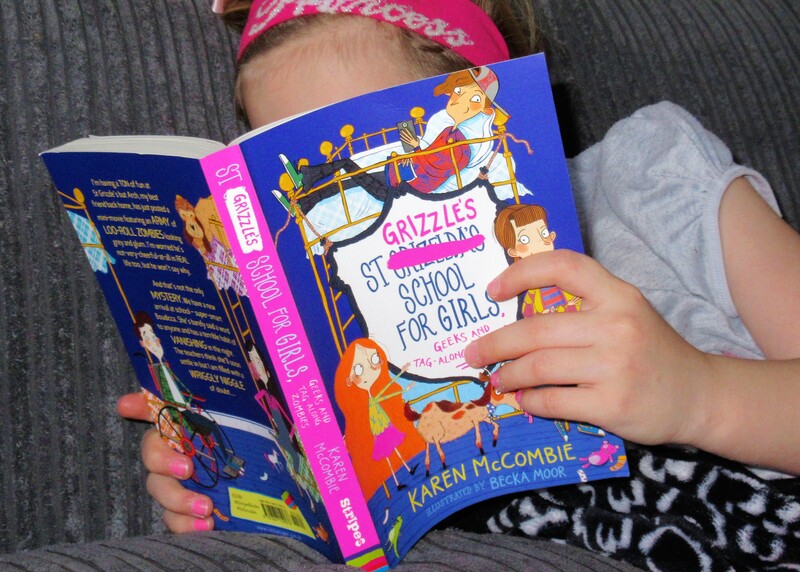 Has your child read any of the St Grizzle’s School series yet? Do you think it may be a series they could enjoy?